Travelling with Children – the Holidays are coming! 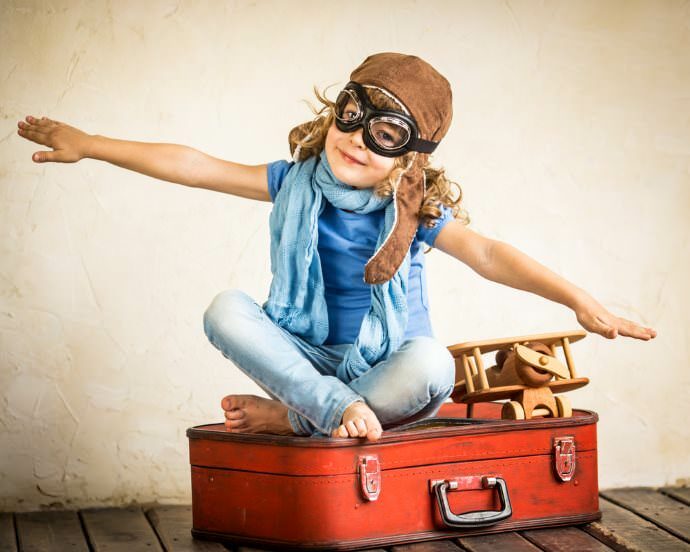 Travelling with children can be a daunting experience, but it doesn’t have to be. As a Mother of 3 daughters – aged 9 years, almost 3 years old and the youngest only 17 months old, I have travelling experience in almost all age categories. The biggest key in making your travels a success is: Planning, Planning and some more Planning! Whether flying or travelling by car – do thorough research and proper planning with regards to booking flights, required travelling documentation, pit stops, accommodation etc. If you are flying with a Baby or Toddler I would highly recommend, you ditch your pram or stroller and rather invest in a proper ergonomic Baby Carrier. It barely takes any space, leaves you hands-free to sort out Check-In, etc. without having to check where your Baby/Toddler has run off to now and creates a safe secure space for Baby/Toddler to sleep in on the plane. Trust me, they do get heavy when sleeping in your arms! I, personally, am a big supporter of local brand Ubuntu Baba – made in Cape Town from natural breathable and UV resistant Hemp you can Babywear your Newborn (in a Stage 1) up until a toddler of max 20kg (in a Stage 2). 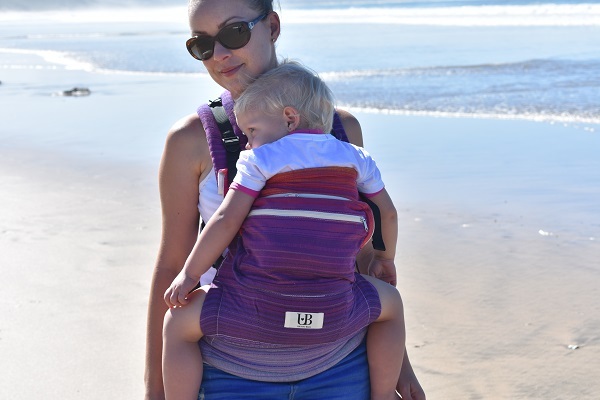 I never go anywhere without my Ubuntu Baba Baby Carrier! If you prefer to take your Pram/Stroller along for the journey, most Airlines allow you to push Baby to the Airplane, where a Porter will then take the pram/stroller from you to be stored in the Luggage Compartment. Once you disembark, the pram/stroller will normally be brought to you again. Please however check with your Airline upfront that they do allow this. Some Airlines, charge an extra luggage fee for prams/strollers. Make sure you have the correct travelling documentation for your children, especially if only one parent is travelling with a minor. If you are travelling abroad alone with a minor, you will not only need valid Passports and an Unabridged Birth Certificate – you will also need a Parental Consent Affidavit (PCA) not older than 6 months. Check with your Airline ahead of time to avoid unnecessary problems at Check-In and Boarding. Most children (babies and toddlers included) suffer from ear pain when the plane is descending to land. With a Baby and Toddler offer them their dummy, a bottle or a drink (if you are still breastfeeding – go ahead Mama!). The sucking action will lessen the pain and help their ears to equalize to the changing cabin pressure. 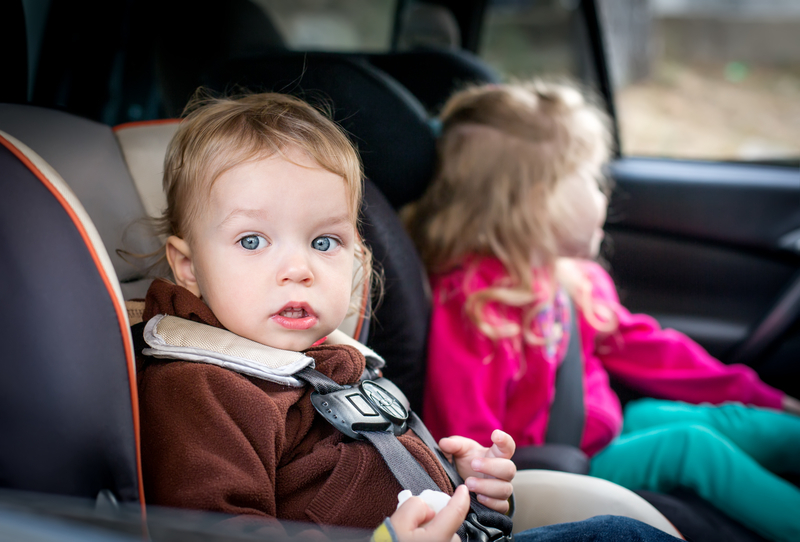 Make sure you have proper Car/Booster Seats fitted for your babies and younger children. Also remember to schedule regular stops to allow for ‘leg stretching’. Few children like to ride in cars for extended period of times. If you have a child that is prone to motion-sickness – don’t forget medication! Remember to pack loads of age appropriate activities for the children to do! Think Colouring-In Books, Puzzles, Lego, etc. If you allow your children access to modern technology – download Children’s Movies for them to watch on a Tablet or Smartphone. Please do share your Travelling Tips with me? Would love to hear what other parents do to make travelling with children easier? The below Infographic from Travelstart – “10 Tips for Flying with Children” might also be of use to you.